It’s a strange thing to say, but I think I liked it better when the sale of the club was up in the air. Because then the speculation was justified. But now that the deal is closed, Milan fans won’t stop speculating. Rather than look at recent form, playing away, and all of the missing players as well as the actual game itself, fans on social media are going crazy speculating over transfer rumors and even whether the club are aiming for Europa League. I thought i Squali were on the pitch, desperate to avoid relegation. But it turns out that people who call themselves Milan fans are far more vicious and likely to devour the club. So I guess it’s good we at least got the point today in hopes of keeping the sharks at bay. Like the match itself, the goal wasn't pretty, but it still counts. 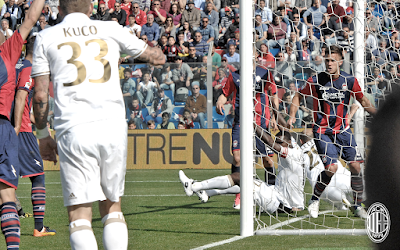 The match started with a Donnarumma save, and it only took until the 8th minute until Trotta found the back of the net. 1-0 Crotone. 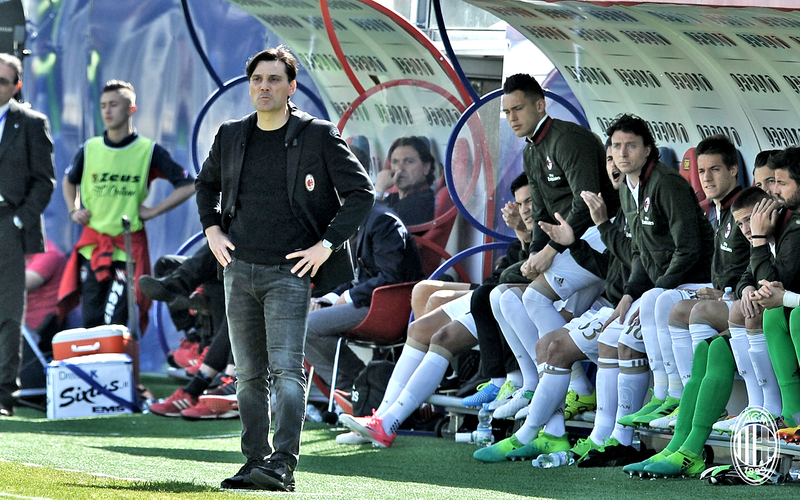 Milan barely took any chances in the first half, pinned back by Crotone’s desperation. 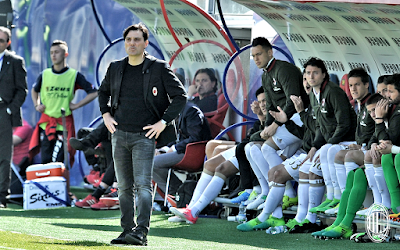 But luckily, the sharks got tired of circling and Milan found a glimmer of that grinta that propelled them through the earlier part of the season. So in the 50th, Kuco headed a ball into the box, and our two central defenders were there, Paletta was the one to send it in using whatever body part was available. 1-1 all. Milan were a lot more clinical today, taking 13 shots with seven of those on goal. But it didn’t seem like it. We were desperately missing our usual fullbacks, they always help in the buildup of plays as well as on defense. Our attack is still lacking. Suso was brilliant in the first half, then it was more on Deulofeu in the second. But it seems like there is only ever one person at a time trying to score, and that is never enough. It was also ironic that Kucka, receiving an early yellow in the 24th minute, would have missed the Roma match. But then he got a second yellow in the final minute of stoppage time and was sent off. So we were on ten men for like 30 seconds or something. And the result is the same, he’ll still be suspended next week. Kind of like giving your kid a time out when it’s nap time. But whatever with what actually happened in the match. There are so many made up transfer and other rumors going around. Honestly, I have a ridiculous fear of sharks. But not the ones in Calabria who wear the red and blue. No I’ve developed an insane fear of the sharks disguised as Milan fans. Disparaging their own club and making up ridiculous thing and spreading the rumors like wildfire. Personally, I thought the draw was a good result, all things considered. And my personal goal for the club is simply finishing above Inter. Because that would be so Karmalicious. But I can’t really even talk about that, because I have to stay so busy keeping the sharks at bay.